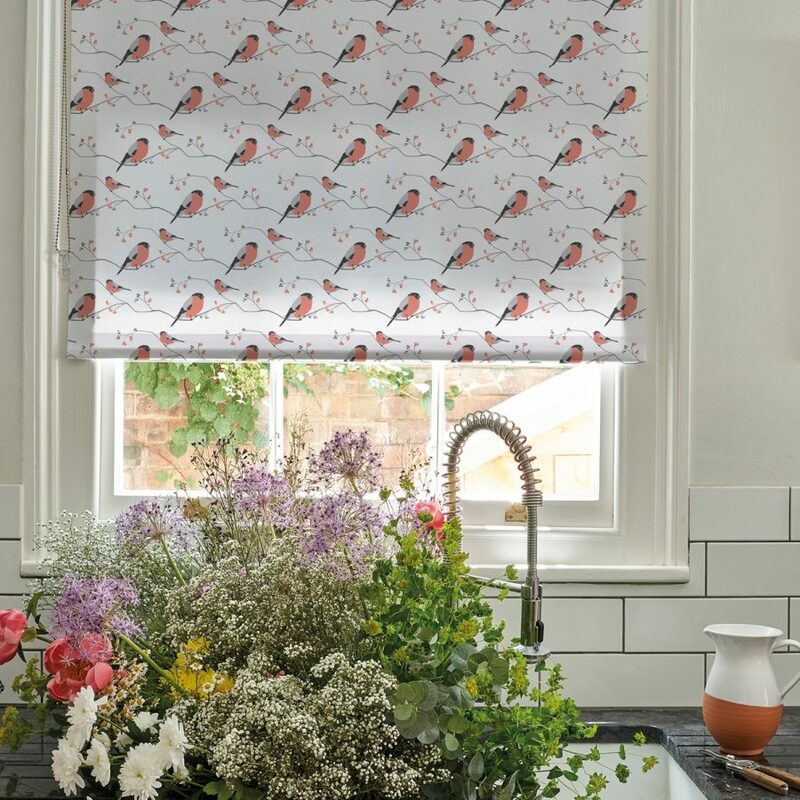 Modern bullfinch design in peach and grey with a white background adds an element of scandinavian feel to any room. Elegant enough for bedrooms and living spaces. The bright feathery peach breasts of the Bullfinch are a delight to see feasting on flower buds in woods of the British Isles. Their secretive disposition makes them even more of a treasure to see and Lorna remembers the thrill of spotting them as a child. This design captures their vivid colouring and stolen moments shared with them on the forest floor.